9th now is mobile! We’ve taken all the best of the Court's TV streaming app and put it on your phone or tablet. And, it’s all still free! 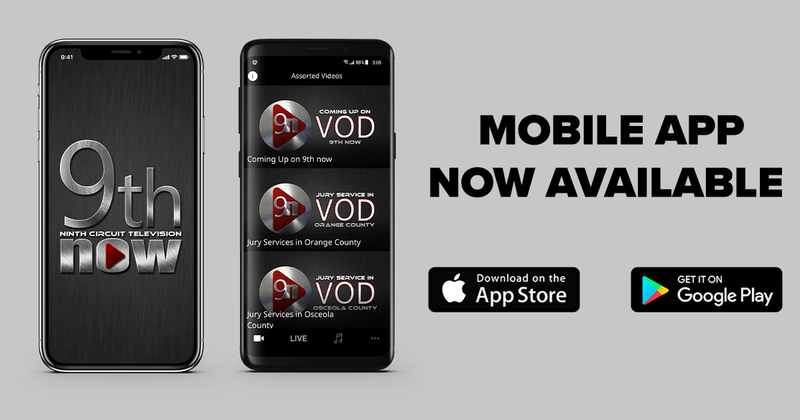 Designed for both IOS and Android – watch live or on demand anywhere. Find us on iTunes and Google Play and download today.